Flash of the blade. Bruce Dickinson fences Olympic silver medal winner in Oslo. 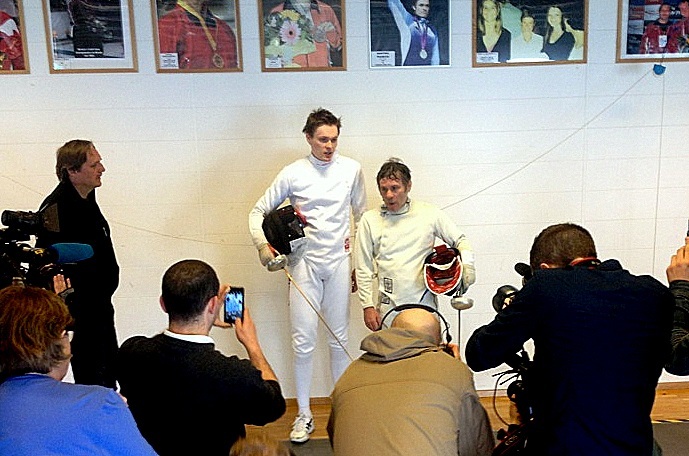 Bruce Dickinson fencing Norwegian Olympic silver medal winner Bartosz Piasecki in Oslo. Photo: Andreas Tylden. Just before the Norwegian fencing championship is about to kick off, Iron Maiden singer Bruce Dickinson popped by to have a go at the, dare I say, much taller Olympic winner Bartosz Piasecki. Dickinson, now 54, did well during the warm-up sessions, but was thoroughly defeated as soon as the match kicked into gear. “I had two points in a row,” Dickinson told Norwegian newspaper Aftenposten. After the match got serious, Piasecki took 5 points on Dickinson. The singer got stuck with 0 points in the final round. “I fence because I enjoy it, and the by-product is that I end up getting in reasonably good shape. 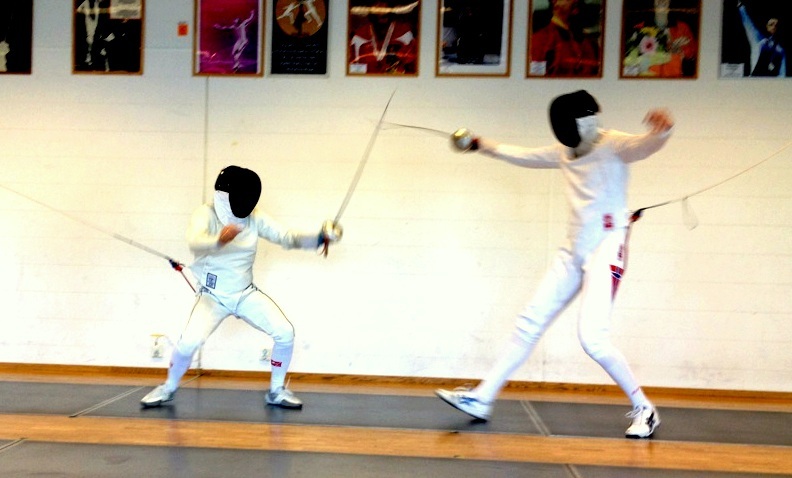 Actually fencing is very similar to the way I run around on stage. Or maybe I run around on stage like that because I fence. Either way it works for me,” he mused.